Veteran Bollywood actor Pran, who made a mark for himself portraying strong negative and supporting roles, passed away at the age of 93 on Friday, 12 July 2013, after prolonged illness. Pran has been known for remarkable roles in Bollywood hits like Zanjeer, Don, Amar Akbar Anthony, Upkaar, Parichay and Sharaabi among hundreds others. 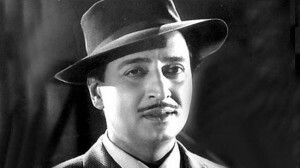 With a career spread over almost six decades, Pran acted in over 350 films and won several awards for them. Though he played villain in many films, in real life he was one of the most loved and admired actors in Bollywood. The government had also honoured Pran with the Padma Bhushan in 2001. It was in 2013 itself when Pran received the Dadasaheb Phalke Award.